Did you know that September is International Strategic Thinking Month? That alone might not mean much to you, but what if I told you that thinking strategically can make you more confident, improve your leadership skills, help you problem-solve, and give you the tools you need to make better decisions? Not a bad deal, right? Strategic thinking is the process of gathering information, analyzing the data and the impact it could have on you and others, and planning to act in a deliberate and measured way. Many of us already think strategically in different aspects of our lives without consciously doing it, but once you put your intent behind the thought process it could be even more effective. Here are a few common traits, characteristics and capabilities common among effective strategic thinkers to help you identify areas where you can improve. Flexible Thinking – You can shift and change your thought pattern to accommodate new ideas. Active Listening – You successfully listen to what others are saying and are able to interpret the meaning behind their words. Big Picture Focus – You frequently step outside your immediate situation to analyze how action (or inaction) will impact you, your business, your colleagues, your clients, or anyone else…now and in the future. Clear Objectives – You take time to identify your objectives before beginning the data gathering and analysis stage. Trend Recognition – You are able to notice recurring patterns and underlying themes, even in what seems to be unrelated topics. Creative Problem-Solving – You gather information, sort, categorize, connect and use the resulting information to creatively solve problems. Self-Challenging – You play devil’s advocate and challenge your own ideas and assumptions to gain further clarity. Prioritization – You can rank data gathered by determining what’s critical and what’s irrelevant. Objective Assessment – You wait to make decisions until you’ve analyzed the advantages, disadvantages and consequences, and fully understand any necessary trade-offs. If you’re generally analytical, curious and open to new ideas, you already have the makings of a powerful strategic thinker, and it won’t be a stretch to fine-tune your strategic thinking skills even more. Avoiding knee-jerk reactions; don’t act until you have all of the facts. Allowing your creativity to come through in your thoughts and actions. Trusting in your intuition and “gut” feelings. Being willing to take a chance and accept a new point of view. Connecting with others, valuing their perspectives and listening well. Broadening your knowledge of all areas related to the topic. Tracking your thought process so you can measure effectiveness and areas for improvement. 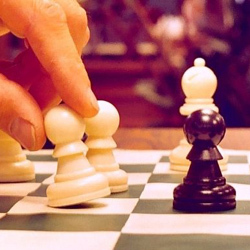 Do you consider yourself a strategic thinker? I do, but there are a few strategic thinking capabilities that I need to work extra hard to incorporate into my thought process. I find, for example, that the self-challenge element always takes a little extra work on my part. It usually results in a better and more well-rounded process, so it’s worth the extra effort. Which of the strategic thinking characteristics outlined do you struggle with the most? How have you benefited from strategic thinking?